USA MADE BY HOWARDS. PERFECT LENGTH FOR USE WITH OUR NKB & PROMAXX HEADS. FOR USE WITH A HYDRAULIC ROLLER CAM. These pushrods are made in the USA. We do not sell or recommend any offshore pushrods. This is one of many internal engine parts that we insist on being very high quality. This is a very important link in the operation of the valve train. HOWARDS BRAND, MADE IN THE USA. 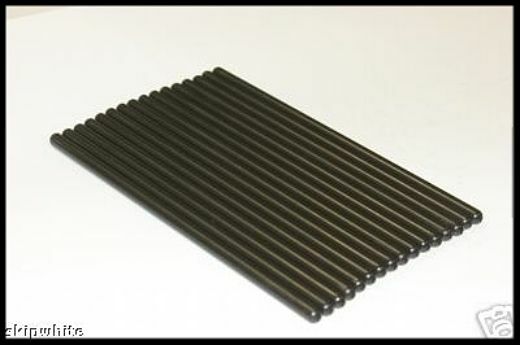 We purchase our pushrods in bulk for our engine program. You will receive them in plain packaging. These pushrods are made by Howards Cams. Our sales staff has limited technical knowledge on this product and are usually unable to answer many of the questions asked. See our other listings for any variations of this product.